Summertime is the peak season for blueberries, which are packed with soluble fiber and antioxidants. Enjoy tart blueberries on your cereal, toss them in a fruit salad, or add them to baked goods and new summer dishes. 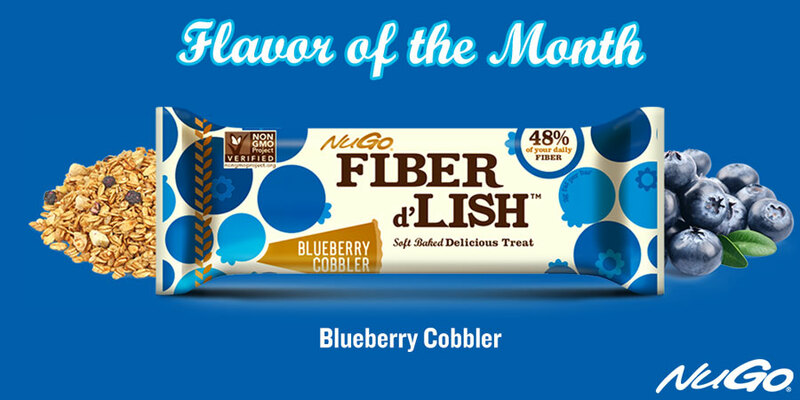 When you don’t have fresh blueberries available, grab Fiber d’Lish Blueberry Cobbler – our flavor of the month! With only 130 calories and a whopping 12 grams of fiber, you now have the perfect swap for blueberry pie! 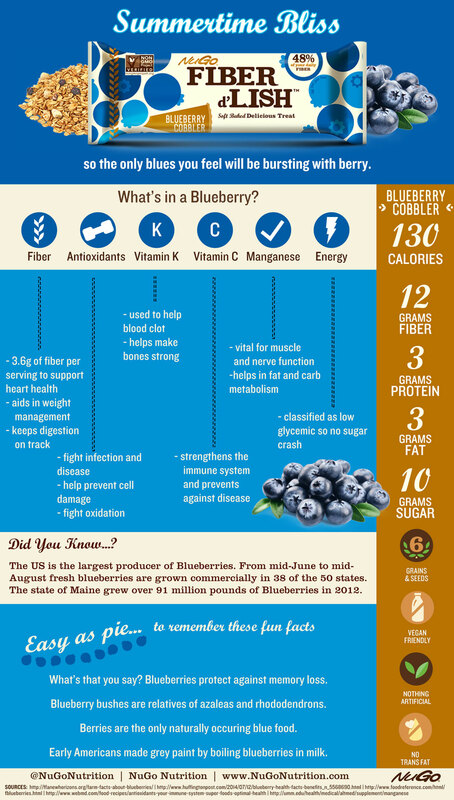 For health facts and fun facts about blueberries, take a look at our blueberry infographic.